One of the biggest benefits of coming to camp is the opportunity for campers to be independent from their parents for a short period of time. Most children today are accustomed to having immediate contact with their parents. Cell phones are a great convenience when you’re trying to figure out when and where to pick up your child and to touch base with them during the day. Camp is, for most kids, the ONLY time of year when they handle issues directly with their peers and counselors and can’t talk to their parents first. It’s a great thing to see kids getting to know other campers and connecting with them. For first-year campers, it’s a huge boost to their confidence to realize they can be successful at camp, without their parents. Being able to call Mom or Dad changes the dynamics of the camp experience. 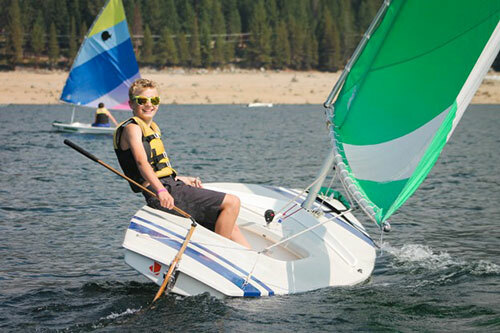 Instead of engaging with the people at camp, the camper is staying connected to their parents and not gaining the valuable independence that a camp experience provides. The break from electronics that camp provides is also one of the most unique things about our environment. Here at camp, we sit around campfires talking with each other. There are no video games, computers, or cell phones to get in the way of building relationships. In addition to the wonderful quiet of not hearing cell phones going off, the break from technology helps kids appreciate the beauty and sounds of nature without interruption. After a few days, most of us don’t miss our cell phones at all! What message does it send to have your child “sneak” a cell phone into camp? It may convey that you are not sure your child will be safe at camp or be able to turn to their counselor (or another staff person) if they need help. If you choose to send your child to camp, you and your child both need to feel comfortable with the camp’s staff and leadership. You need to trust that your child’s needs will be met at camp – whether they are physical, social, or emotional. When your child knows that you are confident, they will in turn be more confident in the experience. It undermines our ability to help support your children in their experience if they don’t feel comfortable coming to us. Communication with your child and knowing how your child is doing are both very important. 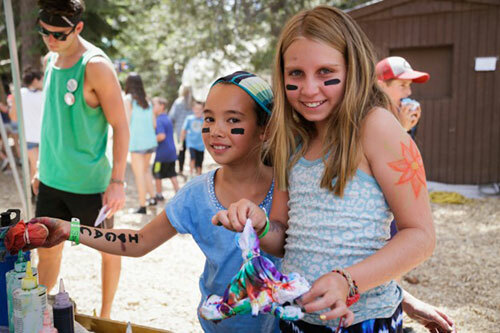 We encourage you to write lots of letters and send emails to your child at camp. If you have any concerns about your child or their experience, please call us right away. We will contact you if we have any concerns about your child, or if your child comes to us with any issues. We will also encourage your camper to write you letters while they are here. Thank you for your support in keeping GAC cell phone free!